Three one-off custom GID Bullhorns recently sold in a few hours. Thanks to new customers in Germany, and France and to KiLL! More will come soon. 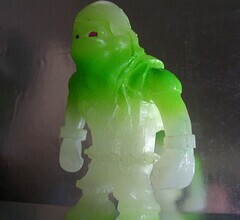 I'm experimenting with GID and I hope it turns out. It will be interesting either way.